Give your backyard space a fun and active addition with the Sportspower 14-Foot Trampoline! The perfect trampoline for kids and adults alike, this heavy-duty, full-size trampoline set features everything you need to get jumping right away. 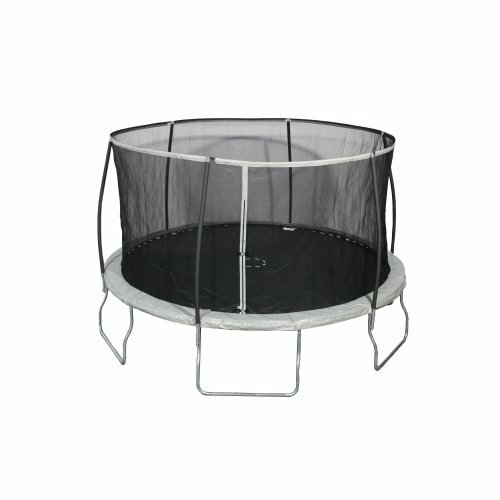 The trampoline net is supported by new Steelflex enclosure technology, encouraging a fun but protected jumping experience. Land easy with the foam outer edge and flexible landing mat. Set includes water anchors to keep your trampoline in place as you jump! Measures 14'W x 9'H.